As one of many partner organisations, Moon Executive Search has signed the Zero Tolerance Pledge and will assist with the recruitment of business leaders capable of addressing abusive behaviours in their workplace and beyond. What does having a Zero Tolerance city mean to Moon Executive Search? Zero Tolerance to gender-based violence, abuse, harassment and exploitation can only be addressed on a partnership basis as no single person or organisation can achieve this important goal by working in isolation. In our view, Zero Tolerance requires all parties to work in a concerted effort to achieve three aims. Firstly, to support victims in disclosing the abuse they have experienced. Secondly, to empower perpetrators to address their behaviours and seek help where needed. Thirdly, to encourage staff and other bystanders to speak out when they observe abuse of colleagues, family or friends. Signing the Bristol Zero Tolerance Pledge is but the start of a campaign to rid the city and surrounding area of gender-based harassment, violence and abuse. In the workplace, an audit of policy and practice can highlight areas of concern that can be addressed through training and workplace initiatives. Bristol Zero Tolerance can support businesses to implement an action plan, similar to the one that Moon Exec Search will have in place. 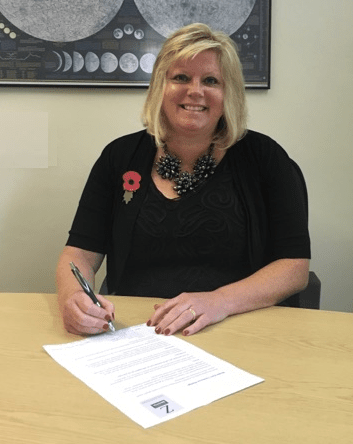 What motivated Moon Executive Search to sign the Zero Tolerance pledge? Having business leaders capable of creating the type of society in which we all want to live is important to us at Moon Exec Search. We live and breathe our values, one of which is ‘being ethical.’ Ethical leaders are empowered to make moral decisions on conduct and behaviours. We accept our responsibility firstly to educate, inform and model decent behaviours and, secondly, to encourage business leaders to be accountable for the behaviours displayed within their companies or organisations.